Abstract expressionist graffiti! What an unusual way to describe your style. 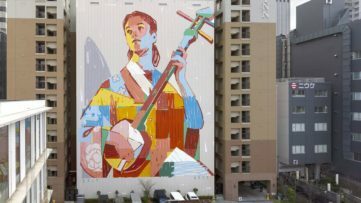 It is absolutely appropriate though, since the style involves intuitive movement and color, and it stands out from the more common figurative or typographical graffiti making. 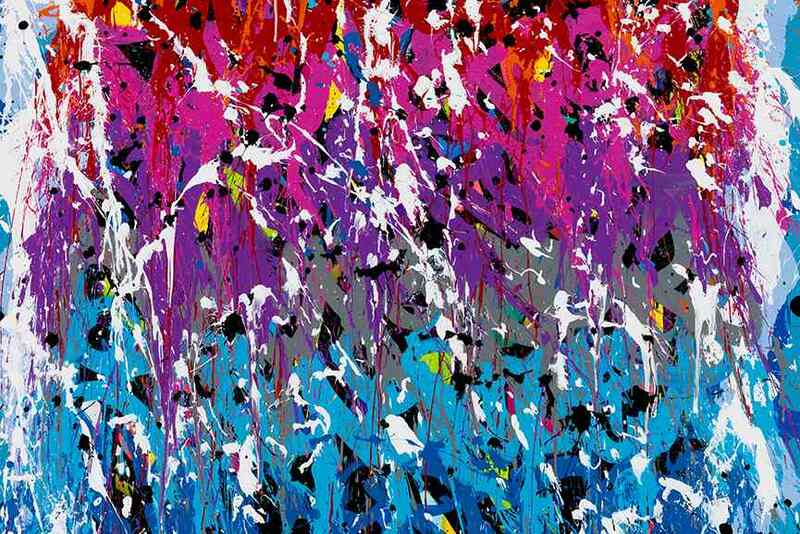 This term is, of course, related to JonOne, who claims to have reinvented the graffiti and street art to some extent, and deliberately calls himself John the One – and who wouldn’t, having his contribution to street art in mind? The uniqueness of his style made him well-known and successful worldwide. The dynamic images could be described as a special sort of digital codes, which are inviting and perplexing, waiting to be cracked. 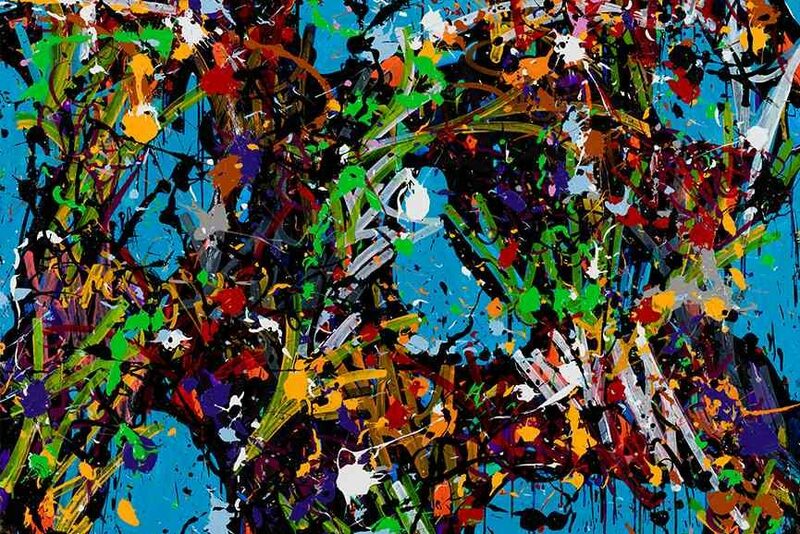 If we take the fact that JonOne comes from New York (even though he now lives in Paris) into consideration, we may as well refer to the way his art conjoins two artistic streams awfully typical for New York. 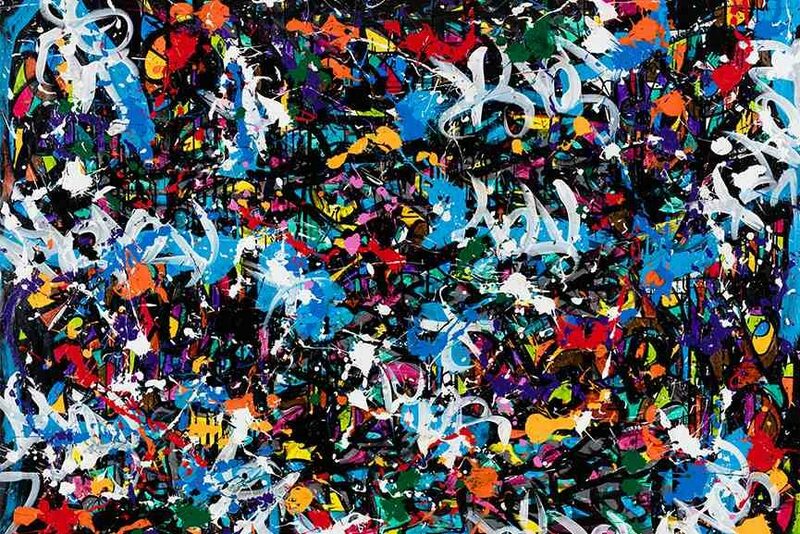 As you already know, abstract expressionism was developed in this city in the late 1940s, and it was very significant, especially because it was probably the first American artistic movement to achieve international influence and affirmation of such kind. Almost equally pertinent was the New York graffiti scene from the ‘70s, which is responsible for today’s blooming of street art. 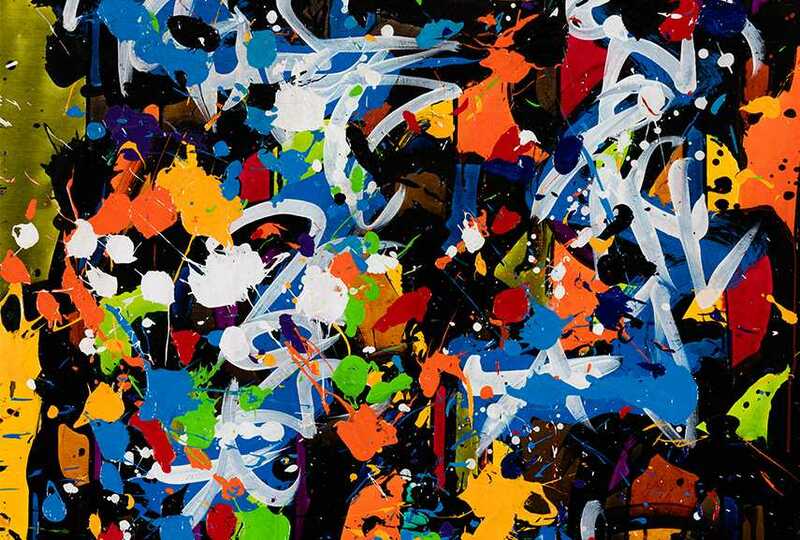 Although JonOne was born late after Abstract Expressionism was conceived, he fell under its influence and borrowed its principles which helped him define his way of spraying. JonOne, acrylic and ink on canvas, 2016, 70 x 70 cm. The new form of artistic expression was something fresh and liberating, and it found its way to broad audiences. 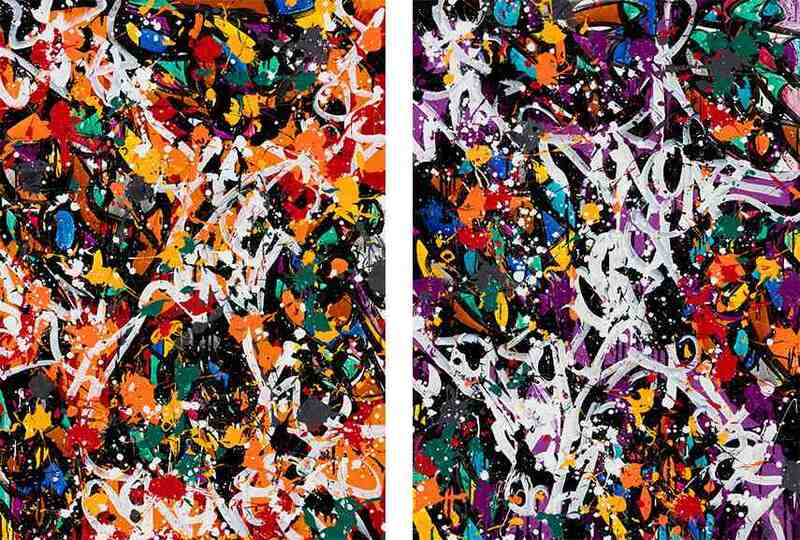 JonOne’s style emerged quickly, soon after he began making his first drawings on New York subway trains, at the age of 17. “The subway is a museum that runs through the city” was how he described his relationship with it, and eventually it turned out that not only this travelling museum helped him publish his works, but was also a stepping stone to a very exciting future. 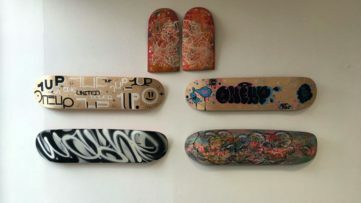 His works were exhibited all over the globe, and now they’re coming to Zurich. 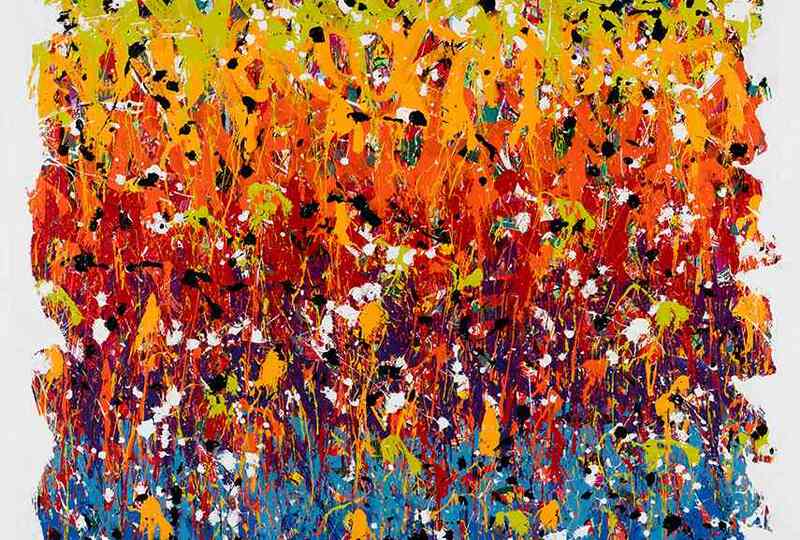 The upcoming exhibition is dedicated to the artist’s energetic paintings, made on canvas. 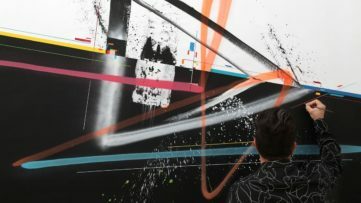 Once you take a look at his paintings, it really becomes clear how his clothes is always covered in paint after his works are done – which we have a chance to see not only in our imagination but on a lot of documentary photos. Although they are visually arresting even at first glance, his paintings should be contemplated with patience. In time, the mystery that they are entangled with starts to unravel and the beauty starts captivating the viewer. 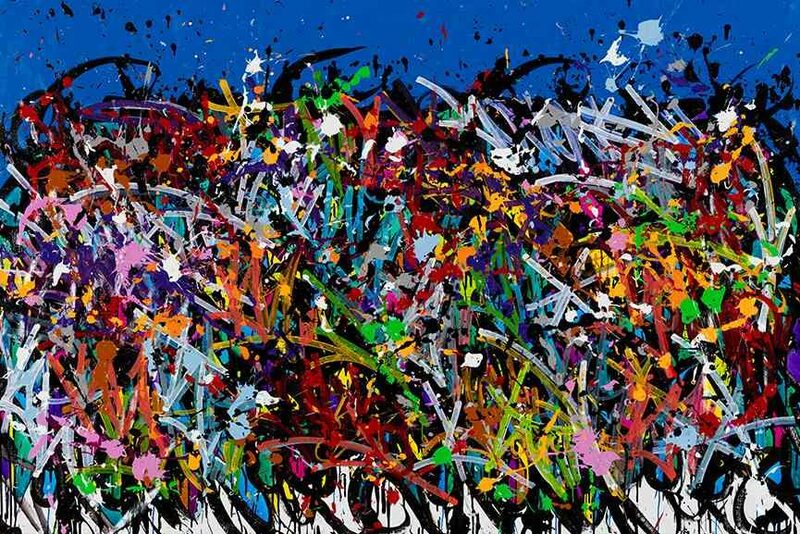 JonOne’s solo show takes place from March 11th to April 9th, 2016, at Kolly Gallery in Zurich, and the opening is set for March 10th from 6PM on. Featured images: JonOne, acrylic and ink on canvas, 2016. All images courtesy of Kolly Gallery.